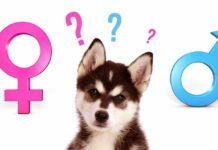 Is coconut oil for dogs beneficial? Are there any risks? Does it actually work? Let’s sift through the evidence to find out whether coconut oil is safe for dogs, and whether there are any benefits of coconut oil for dogs. You’ve probably noticed recently that coconut oil is everywhere. Online and in magazines, blog posts and articles list the cure-all properties of coconut oil. Devoted fans around the world post glowing testimonials. In fact it’s become so ubiquitous, I’ve just realized I even have a favorite meme about it. In case you’re wondering, it’s the one that goes “Frizzy hair? Coconut oil. Dry skin? Coconut oil. No shaving cream? Coconut oil. Bad credit? Coconut oil. Boyfriend acting up? Coconut oil”. And if you’re already using coconut oil for yourself, you might be tempted to ask is coconut oil for dogs a good idea too? Coconut oil is extracted from the meat and milk of coconuts. Like all vegetable oils, coconut oil contains a blend of fatty acids. Fatty acids can be a source of energy from our diet, and some of them have other special properties as well. Lauric acid and caprylic acid, which between them make up over half of the fatty acids in coconut oil, are two such special examples. There’s a growing amount of evidence that lauric acid is antibacterial, antiviral and antifungal. Add this to claims of its potential anti-inflammatory, analgesic and antipyretic properties (antipyretic substances prevent or reduce fever). Whilst not as extensively researched yet, there’s also some evidence that caprylic acid is both antimicrobial and antiviral too. So can these brilliant properties be harnessed to help your dog? First of all, let’s check that coconut oil is safe for dogs. After all, the beneficial ingredients are pointless if any others are toxic. The good news is, as long as you administer it carefully, coconut oil is perfectly safe for most dogs. So whether you’re thinking of feeding coconut oil to them off a spoon, or if they lick it off their skin or fur, they won’t come to any harm. However, a small number of dogs do experience an allergic reaction to coconut and its by-products. So if your dog hasn’t tried coconut before, or they have any sort of nut sensitivity, be cautious in giving them coconut oil. If you’re not sure what allergies your dog may have, it may be worth scheduling an appointment with the vet. Your vet can provide allergy testing to give your and your pooch peace of mind! The American Kennel Club also advises consulting your vet before giving your dog regular doses of coconut oil. This is especially true for dogs with pancreatitis or who tend to put on weight quickly. That’s not because coconut oil will be immediately toxic to them, but it might do them more harm than good over the long run. Coconut oil for dogs’ skin? There are two ways of giving your dog coconut oil, depending which of its benefits you’re hoping to see. One is administering it as a dietary supplement. But the first we’re going to look at applying it as a topical ointment. This means applying it onto the skin, fur, ears, or paws. Using coconut oil as a moisturizer for dry skin is one of it’s oldest and most popular uses. Coconut oil is easily absorbed into the top layers of the skin to relieve the itching caused by dryness, and replenish the oil barrier between the skin and the environment. Coconut oil for dogs’ skin is a safe, non-toxic, economical way to treat one-off dry patches. However, if they’re suffering with persistent skin dryness it’s always best to seek advice from their vet as to the underlying cause. The same applies for dryness over a significant area of their body. Since the boom in coconut oil, a lot of dog owners are asking “Can I put coconut oil on my dog for hot spots?” It’s not an unreasonable question, given coconut oil’s reputation as an emollient for sore, itchy skin in humans. Studies from India and the Philippines have lent some credibility to using coconut oil for wound healing and allergic dermatitis. However hot spots, or moist dermatitis, aren’t quite the same as these. In fact, there haven’t been any studies yet to confirm whether coconut oil can help. Crucially, hots spots are different because they are self-inflicted by dogs when they can’t stop licking. Coconut oil is unlikely to help if your dog loves the taste and ends up licking the afflicted area even more. If your dog is laid low by hotspots, ask your vet to help devise a treatment plan, and whether it could include coconut oil. Like dry skin, dogs can get dandruff for many reasons. In fact the two often go paw in paw. Causes of dandruff in dogs include nutritional deficiencies, skin infections, food allergies, and inadequate grooming. Coconut oil either used as a shampoo or as a dietary supplement might help improve the signs of flakiness, but finding out the underlying cause is even more important. If your dog has dandruff, ask your vet to help pinpoint why, and how coconut oil might be part of the solution. Vegetable oil-based balms are a great way to protect our dogs paws and noses from getting chapped and sore in winter. Chapped or cracked paws can lead to infection, not to mention irritation. Coconut oil may be a useful salve, provided your dog isn’t allergic to it. You can buy ready made products containing coconut oil, like this healing balm stick by Particular Paws. 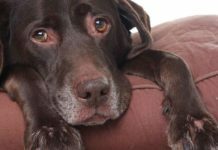 Or if you’re feeling self-sufficient, you could try making your own, using this paw balm recipe on the American Kennel Club website. Possibly the most dreaded causes of itching and scratching in dogs are, of course, fleas and mites. 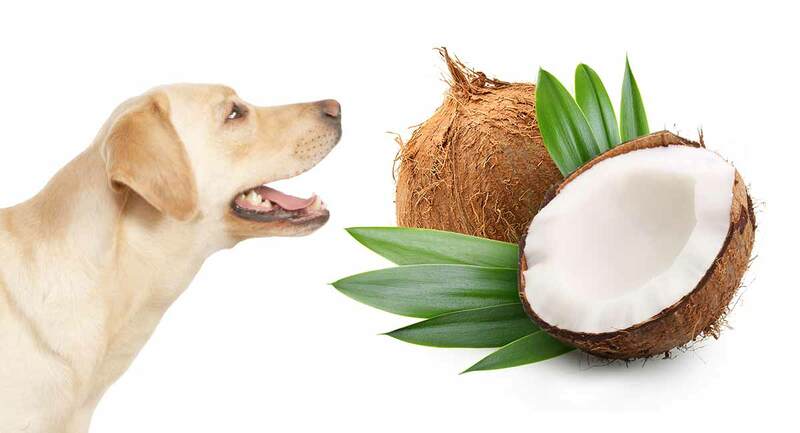 One of the most frequently listed benefits of coconut oil for dogs is as a parasite repellent. And there’s actually some promising evidence to back this up. A small study in Brazil in 2004 found that a coconut oil-based remedy was effective in some ways. It was used for repelling sand fleas and reducing the inflammation left by their bites. A 2013 study in the Philippines found that coconut oil could play an effective role in treating mange and scabies. Unfortunately no trials have been carried out yet against our most common parasitic enemy. The itchy cat flea (yes, most of your dog’s fleas are actually cat fleas!). In the meantime, it’s up to you whether you’d like to use coconut oil in your flea control regime. Bear in mind that dousing your dog in coconut oil will drive fleas away. It won’t kill them, but it will make them try to escape. so do it outside! You might want to rub your dog’s coat with coconut oil before going for a walk. This might be easier than trying to evict pesky fleas from their new homes in his fur later! As with all the other coconut remedies I’ve listed here, it’s probably wise to use coconut oil for extra relief alongside traditional pharmaceutical flea remedies, rather than instead of them. So what’s the verdict on coconut oil for topical skin and coat conditions? Some research into using coconut oil for dog skin conditions has been conducted. This has been done in countries pharmaceutical treatments are expensive. These are places where coconut oil is cheaper and more readily available to dog owners. And it looks like the antibiotic and anti-inflammatory properties of coconut oil can be effective for treating the discomfort of skin conditions and parasitic infections. But it’s vital to make sure you address the underlying cause of the symptoms at the same time. Next we’ve got a couple more topical uses of coconut oil to examine before we move on to using it as a dietary supplement. Can you brush dog teeth with coconut oil? We’ve written before about the importance of cleaning your Lab’s teeth, but can you brush dog teeth with coconut oil? This isn’t as mad as it seems. We’ve already seen that coconut oil has antibacterial properties. These properties could potentially reduce the build up of plaque, and battle bad breath. Additionally, a 2015 study in humans found that swilling with coconut oil every day reduced plaque and gingivitis caused by plague. However, the researchers couldn’t explain how it worked. One possibility was that the swilling action broke away the plaque. Obviously, our dogs can’t swill coconut oil in their mouths for us! As a result we can’t be 100% sure of replicating the benefit for them. So for now it’s best not to use coconut oil as a dog toothpaste. When I first heard of using coconut oil for dogs’ ears, I couldn’t work out straight away what for. 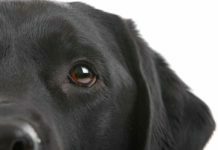 A quick search online revealed a plethora of tutorials for using coconut oil to treat canine ear infections. If you suspect your dog might have an ear infection, take them to their vet straight away. As anyone who has ever had one can testify, ear infections REALLY hurt, so it’s not a time to trial home remedies first. With your vet’s blessing, using coconut oil to sooth the external discomfort of an ear infection might form part of the treatment, in conjunction with properly prescribed medication. Right, now moving on to coconut oil as a dietary supplement. Dog wellness websites promise miracles from eating or drinking raw coconut oil. Promises include a shiny coat, blissful digestive comfort, balanced hormones, boosted immunity and even protection from illnesses like cancer and diabetes. So can coconut oil supplements really deliver on all these promises to our dogs? Sadly, most of the claims around coconut oil have little or no scientific research to back them up, and that’s just for humans. So far, there is no clinical evidence for the benefits of giving coconut oil to dogs as a dietary supplement. That’s not to say that none exist, but we can’t make concrete assertions about its efficacy. You might like to try supplementing your dog’s diet with coconut oil but aren’t sure how. One way is to add it to to their meals. Some specialist complete dog foods, such as Open Farm include coconut oil in their recipe. Alternatively you could try incorporating coconut oil into treats. Do this by substituting part of their food allowance. Next we’ll move on to some ways of including coconut oil into your dogs diet. However, it’s really important to bear in mind that coconut oil is not a complete solution. It, for example doesn’t contain Omega 3 or Omega 6. These are fatty acids every healthy dogs must get from their diets. If you’re considering coconut oil as a solution to dog obesity, this may not be the best fix. Obesity in dogs is a serious issue. 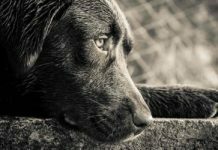 It can affect the health, welfare and behavior of a dog. Coconut oil, while it may have its uses, is no substitute for a vet approved diet and lifestyle. Remember to consult your vet before making significant changes to your dog’s diet. My daughter refuses all food that contains any hint of goodness. She does however, wolf down the multivitamins that come as jelly sweets! Perhaps adding coconut oil to some homemade doggy treats might help to disguise the supplement! Obliging coconut oil manufacturer Golden Barrel have just the thing: a recipe for Peanut Butter Coconut Oil Dog Treats which only take ten minutes and three ingredients to make. Divide the amount of coconut oil in the recipe by your dog’s coconut oil dose. This is to work out what a daily portion of treats for them is, so they don’t overindulge! Is coconut oil bad for dogs? 2016 was the year we fell head over heels for coconut oil. 2017 was the year we came out of the honeymoon period. This is when people started to recognize its shortcomings as well as its benefits. In June 2017 the American Heart Association published a paper. It revealed that many people overestimate the health benefits of coconut oil. They reminded us that consuming too much can contribute to heart disease. So perhaps we need to reign our love affair in. But what about our dogs? A research team in Barcelona studied dogs whose diets were supplemented with coconut. 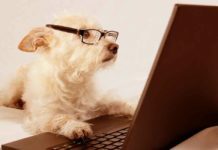 They found that these dogs had more body fat and lost weight more slowly than dogs whose diet was supplemented with other fat sources. However, another study looked at overweight dogs who were fed a diet that included coconut oil. These dogs lost weight and their body condition improved. The point is not that one study is right and the other wrong. When it comes to coconut oil and weight loss, it is simply that coming to a single conclusion is difficult! And in 2003, researchers at Auburn University in Alabama made the peculiar discovery. They found that that consuming coconut oil inhibited the scent-detecting ability of working dogs. Is coconut oil a good idea? Coconut oil looks so natural and wholesome sitting in its jar. It’s tempting to think that it can only ever be beneficial, or at least neutral. There’s certainly a lot of hype around coconut oil. But so far there’s only a small amount of clinical evidence to back up the promises. Some research into the benefits of coconut oil for dogs has delivered promising results. Always consult your vet before you use it. Consider whether it could have any negative side effects, or mask the symptoms of an underlying problem. Even after consulting your vet, make sure you keep an eye on the effect the coconut oil is having on your dog. 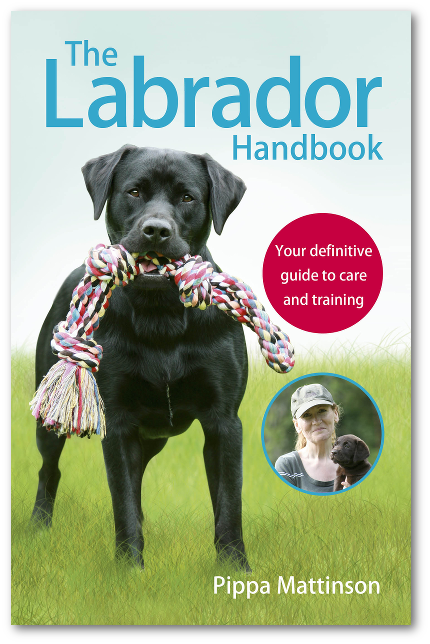 Keeping your vet updated with any changes will help paint a clearer picture of your dog’s condition. 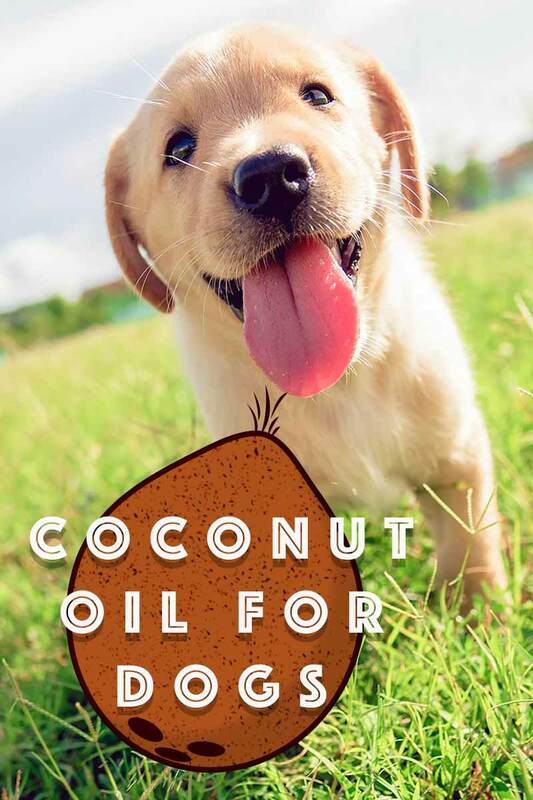 I suspect the trick with coconut oil is to use it skeptically, and always stop using it if you’re not seeing any tangible benefits for your dog. Does your dog benefit from coconut oil? What treatment successes or failures have you had? This article has been revised for 2019. Anti-inflammatory, analgesic, and antipyretic activities of virgin coconut oil. Journal of Pharmaceutical Biology. Nevin, KG and Rajamohan, T 2010 Effect of Topical Application of Virgin Coconut Oil on Skin Components and Antioxidant Status during Dermal Wound Healing in Young Rats. Skin Pharmacology and Physiology. Padilla Evangelista et al 2013 The effect of topical virgin coconut oil on SCORAD index, transepidermal water loss, and skin capacitance in mild to moderate pediatric atopic dermatitis: a randomized, double-blind, clinical trial. International Journal of Dermatology. Fragua, V et al 2015 Evaluation of the use of esterified fatty acid oils enriched in medium-chain fatty acids in weight loss diets for dogs. Pub Med. Altom, EK et al. 2003. Effect of dietary fat source and exercise on odorant-detecting ability of canine athletes. Research in Veterinary Science. 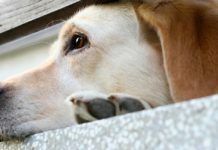 Next articleMelatonin For Dogs – Can You Give Dogs Melatonin for Anxiety or Stress? I used extra virgin coconut oil on my dog for fleas . He was covered up .I shampoo him with his normal tick and flea shampoo. Then I dried him off . I rubbed the oil on my hands and worked it threw his fur. All of a sudden I started seeing a flea here and there pop up to top of his fur. . By the time I got done I had 15 fleas dead I pulled off him ..